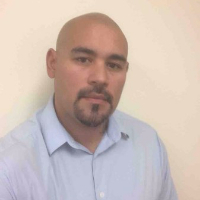 My name is Michael Contreras and I am a Licensed Professional Counselor -Supervisor, Licensed Chemical Dependency Counselor, Alcohol and Drug Counselor Level I, and Internationally Certified Alcohol and Drug Counselor. I received my Bachelor of Arts Degree from The University of Texas at Dallas in Psychology and my Master of Science Degree from The University of the Southwest in Education and Mental Health Counseling. I provide counseling services in both English and Spanish. My client population includes children, adolescents, and adults of all ages. I work with individuals as well as families. I really strive to place no limitations on the populations I work with and am open to working with all. My theoretical approach is cognitive-behavioral therapy but I rely heavily on an eclectic approach as well depending on the needs of each client. Everyone is different and not everyone responds to the same strategies and counseling techniques the same. My clinical interests include: marriage, couples, and family counseling, school difficulties and behavior referrals, adolescent issues, crisis intervention, substance abuse, PTSD, and depression. I facilitate numerous groups and skills training curriculums in various topics including adolescent first offenders, anger management, divorce and separation, parenting, and teen issues. I have a wealth of employee assistance related experience and training and am also very adept at working with substance abuse populations. Again, I never limit myself and work well with any and all issues and populations. Would you like to write a review for Michael Contreras? We'd appreciate if you can spend a couple of minutes to write a short review for Michael Contreras (LPC-S, LCDC, ADC). This review would be shared with Michael Contreras. It may also be posted in our website or in Michael Contreras's profile but it would be anonymous and your identity would be kept completely confidential.